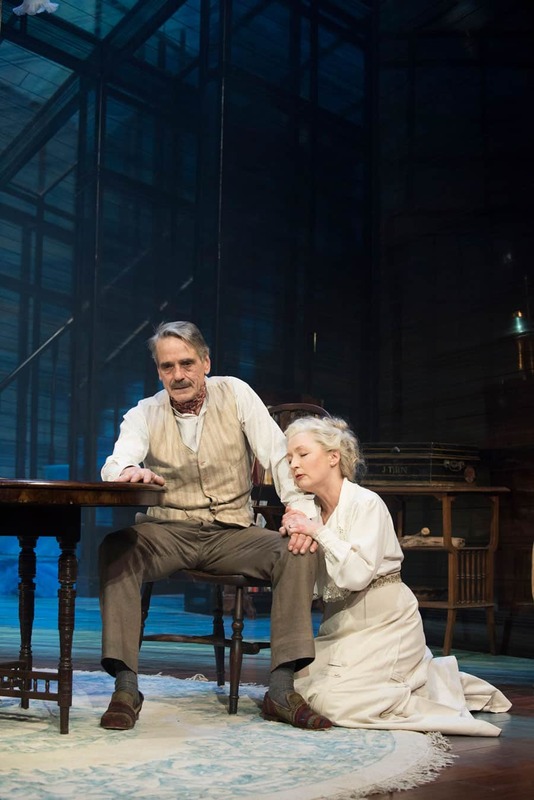 Jeremy Irons as James Tyrone and Lesley Manville as Mary Tyrone in Long Day’s Journey Into Night. Photo: Hugo Glendinning. 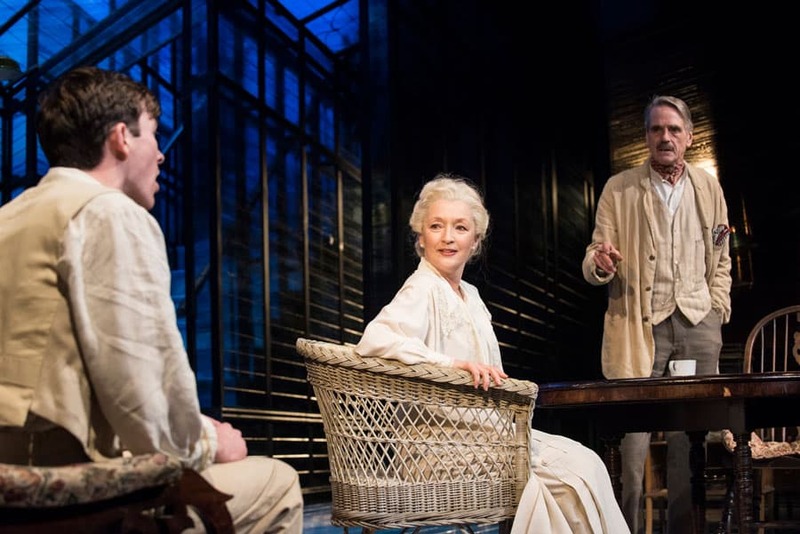 Eugene O’Neill’s masterpiece Long Day’s Journey Into Night is a daunting piece of theatre. Over three and a half hours with five actors is not a lot of let up. It bucks the trend for shorter snappier plays that pander to everyone’s shortening attention span, but then this project was never about pandering to any current trends. It is a stand-alone triumph of art and craft and a real jewel of a production in the West End’s crown. 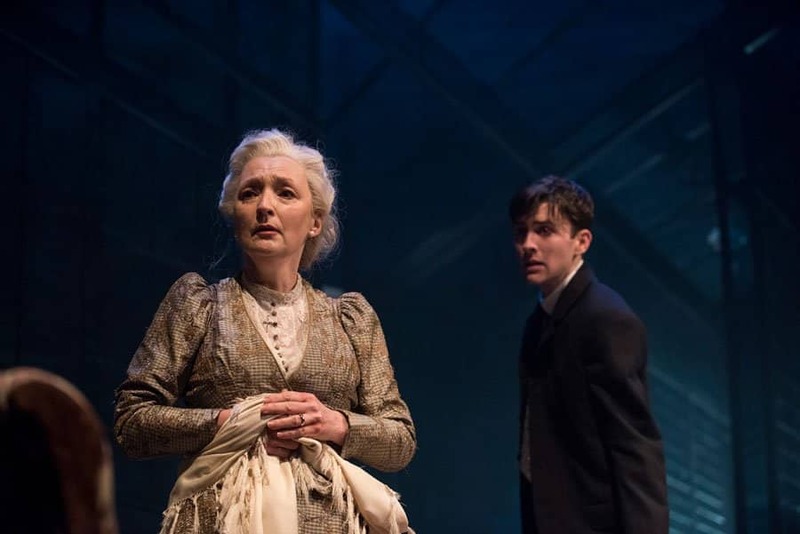 O’Neill’s stonking piece of work is safe and in the care of visionary director Richard Eyre and a wonderful cast lead by the luminous Lesley Manville. Rob Howell’s set is a beautiful marrying of realism and impressionism. Period furniture sits inside a stunning frieze box onto which Peter Mumford projects sweeping oranges and blues. The colours swirl and merge much like paint and the sheen of the fabric catches the light in breathtaking fashion. It is as if the domestic scenes are taking place within a prism of the Aurora Borealis or a churning galaxy of stars. Onto the canvas waltz Jeremy Irons as James Tyrone, Lesley Manville as Mary his wife, and Matthew Beard and Rory Keenan as their sick and layabout sons. With whiskey encouragement, the Irish-American family set about pulling at the already frayed threads of their relationships and old grievances resurface and recur like melodic themes in a symphony. It seems they are unable of moving on or truly forgiving each other for past indiscretions, and how could they when alcoholism, morphine addiction and verbal abuse feed the flames of their dysfunction. Manville and Irons are excellently cast as the middle-aged couple. They gabble like bickering school children and then swoon and fawn over each other, believably trapped in a cycle of vicious routine. Irons delivers a terrific performance as James the successful actor who sold out his ideals and artistry for economic stability. He is particularly moving when trying to explain to his privileged sons the poverty he experienced as a child and subsequent inability to spend lavishly, unable to cast off their accusations of him as a miser. However, his accent wavers disconcertingly at moments which throw us out of America and back into London. 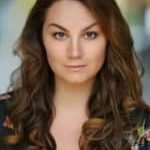 Manville is beautifully conflicted as the atypical morphine addict thrown into a life of dependency and shame after being treated by an inferior “quack” following the traumatic birth of her third son Edmund. Underneath the cracking façade of manners and propriety she oscillates between blinding rage at her husband, bitter resentment of her children and a deep self-loathing for the woman she has become. Self-medicating to fill the gnawing void of addiction and escape the pity and accusatory eyes of her family, she retreats farther and farther into the recesses of her memory until she dances on stage in a morphine-addled reverie, wedding dress clasped in a loving embrace oblivious to the devastation around her. Matthew Beard is convincing as the stricken younger brother Edmund, but Rory Keenan is cut from the same theatrical cloth as his stage mum. He delivers a robust and scintillating performance as the wasted “loafer.” In equal parts exasperating and charming, beleaguered by indolence and resenting the influence his father has wielded to get him into work. 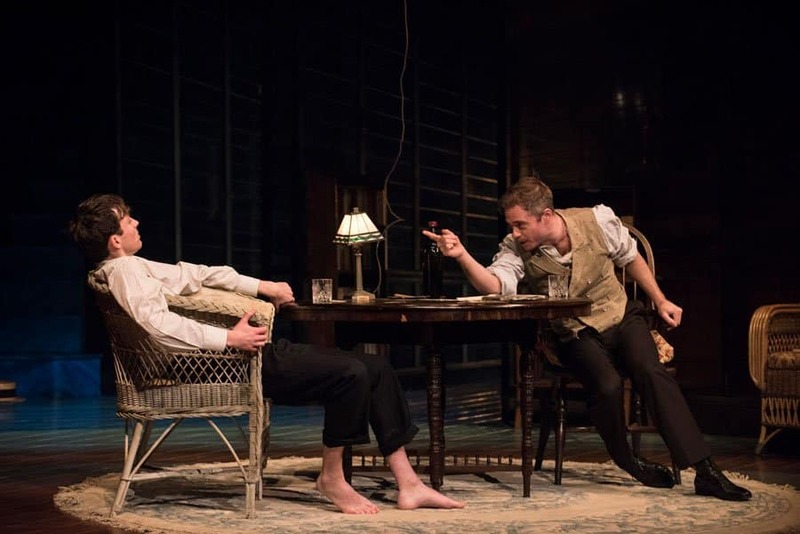 In a sea of productions speaking directly to the fraught current political climate, Long Day’s Journey Into Night is refreshingly set apart by its seeming irrelevance. Like a beautiful curio in an old antique shop, the production is a whole universe in and of itself, untarnished by the transitory pressures of modern society. Saying that, the themes O’Neill explores, those of marriage, loss, aging and thwarted expectations remain as unremitting as ever. The characters in the play remain in a cycle of misery because they cannot accept each other, let alone themselves for who they have become. To confront each other with the truth, is the uncomfortable role and responsibility of family, however painful that might be.